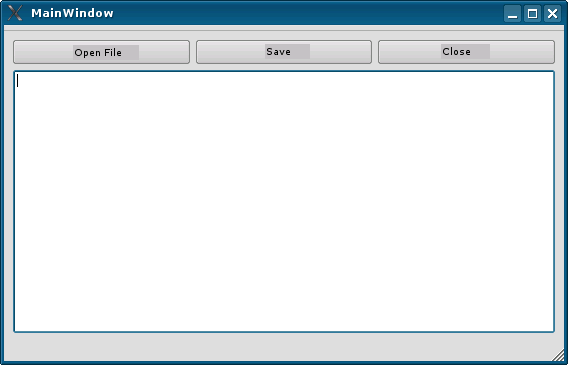 The "Close" button I've connected with the window assigning "close()" slot which will close the GUI. 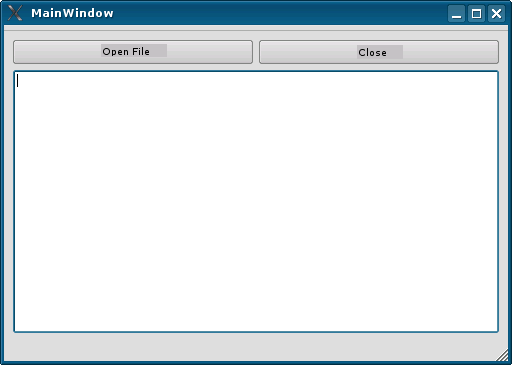 For the "Open File" button I've changed it objectName to "button_open", and for the TextEdit window to "editor_window", and the window name from "MainWindow" to "notepad". You change them in the "Property Editor" when you select a widget. Execute start.py to show the application. Click on "Close" to close it. And the text editor is UTF-8 friendly. 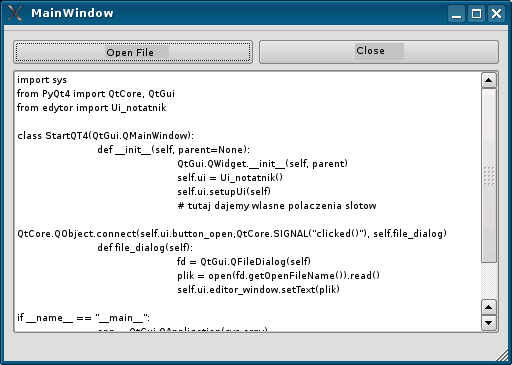 In the next tutorials I'll show you how to add more features to this editor thus learning more of PyQT4. 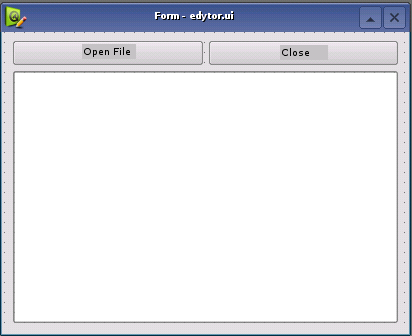 Note: to get English names on the buttons regenerate "edytor.py" class using "edytorEN.ui"